**Disclosure: Product was provided in order to help facilitate this feature. No monetary compensation was received. Mom's have "busy" down, right!? I mean from taking care of the kids, home, finances and everything in between, we often leave ourselves out of the mix. As a busy mom myself, my salon time often gets put on the back burner. So why not bring the experience home! ToiletTree Products, a leading designer and manufacture of innovative bath products offer the Face and Body Brush System. You can pamper yourself with their total body, skin-cleansing system and will feel more confident with healthy, beautiful skin! 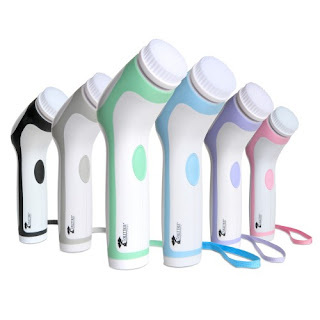 Unlike popular face brushes, their water resistant Face and Body System comes with four interchangeable rotating heads (Two face brushes - one soft for sensitive skin & one medium for normal skin, one large body brush and one pumice sphere for tough foot skin) that cleanse and exfoliate skin from head to toe. Exfoliating with a Face Brush stimulates skin renewal and improves overall skin clarity and appearance. 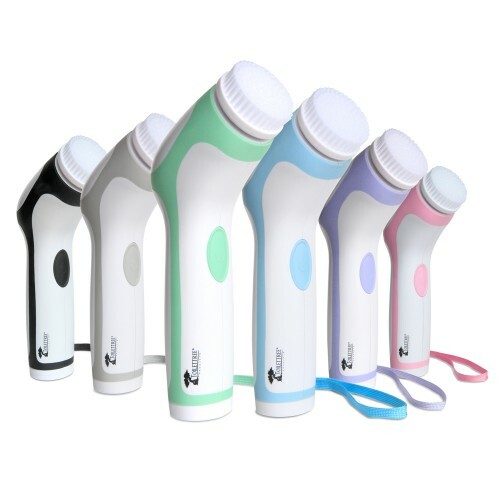 It also reduces the appearance of problem areas, such as dead skin cells, oily skin, dry patches, fine lines, blemishes, visible pores, blackheads and wrinkles, leaving skin smoother and glowing. The Face and Body System was extremely easy to use and switch out the brushes. I also love the variety of colors they offer. At a fraction of the price, it's a great system that works, does what it says and gets the job done. Visit ToiletTree Products for more information!